I was just out sunbathing in the garden when the postman rocked up and handed over this Summer themed Glossybox and although the sun was setting I thought it would be best to get this post up sooner than later. I absolutely adore the design of this box, the aqua blue background and orange coral just scream Summer in the best way possible. 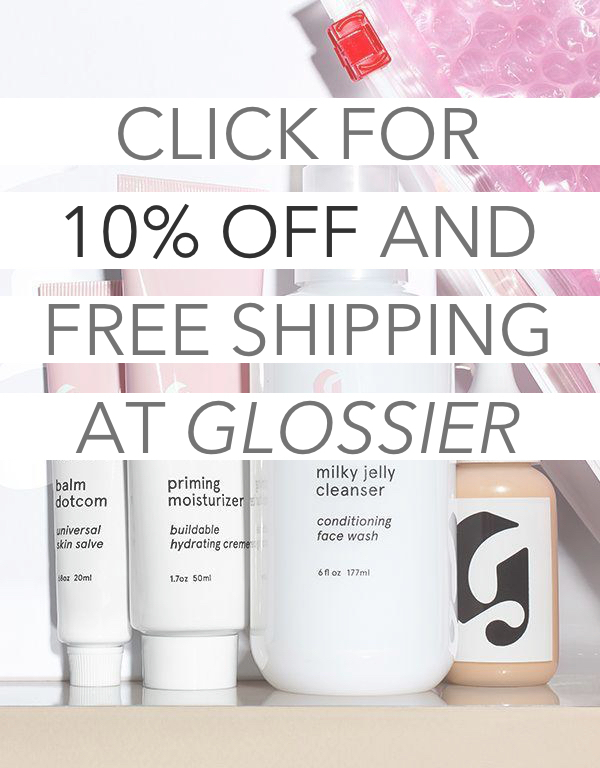 Once I opened the box to find the products inside I was so impressed with everything included and can imagine that I will love each product, it's definitely the best Glossybox that I've ever received. I'm most looking forward to having a go with the Inecto Coconut Dry Shampoo and Anatomicals Facial Spritz as these would make great staple products for the hot weather. ANATOMICALS SPRAY MISTY FOR ME FACIAL SPRITZ - "This facial spritz with calming lavender and refreshing peppermint extracts helps rehydrated and calm skin. Wonderful every day, during flights, at the beach, in the city or in the office." ALTERNA HAIRCARE BAMBOO STYLE BOHO WAVES TOUSLED TEXTURE MIST - "Your perfect 'Seaside Splash' Summer companion! Forget perfectly primped hair, and instead opt for effortlessly tousled, 'just-back-from-the-beach' waves with this weightless mist. Adds texture, volume and healthy shine to all hair types." CIATE LONDON PAINT POT IN - "With a range of on-trend Summer shades, you'll be hitting the beach in style. Ciatés wide range of amazingly pigmented and long-lasting shades guarentees a flawless, even finish every time." COOLA MINERAL FACE SPF 20 ROSE ESSENCE TINT - "Coola Organic's Suncare Collection is hypoallergenic, free of parabens and packed with antioxidants. It provides complete UVA/UVB protection and fights free radicals, while soothing, toning and minimizing pores." INECTO PURE COCONUT REFRESHING DRY SHAMPOO - "Looking for a quick pick-me-up on your way from the beach to the bar? Inecto's Coconut Dry Shampoo instantly refreshes hair between washes, adding body and texture, and - most importantly - leaving your hair smelling irresistibly fresh and exotic." I love the packaging, so cute! The box is lovely, and actually there wouldn't have been anything in the box that I would have been disappointed with! Which is why I unsubscribed all that time ago, this is so usefil! Looks like a great box, some great products for summer! can't wait for my box :) it looks lovely ! Wow that looks amazing! I've just done a review of all the products in a 'latest in beauty' beauty box if you're interested! I hope my box is as lovely as yours. They all look like great products! A gift from the summer I guess!